Is every area of your field the same? 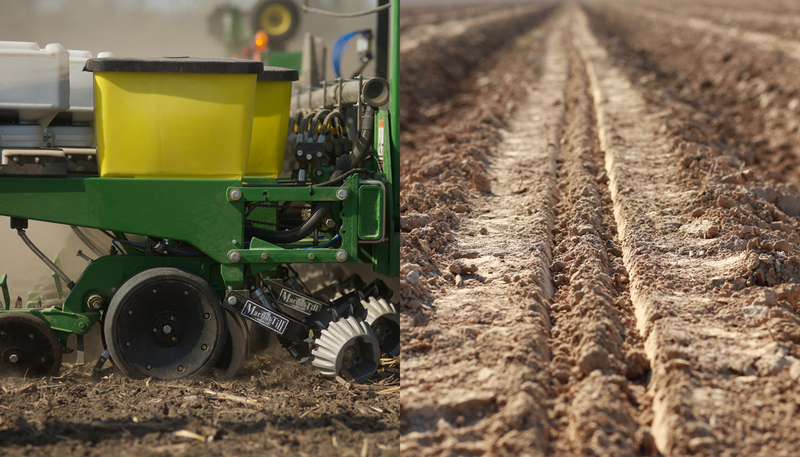 Is each row of your planter in the same environment, or are there differences? 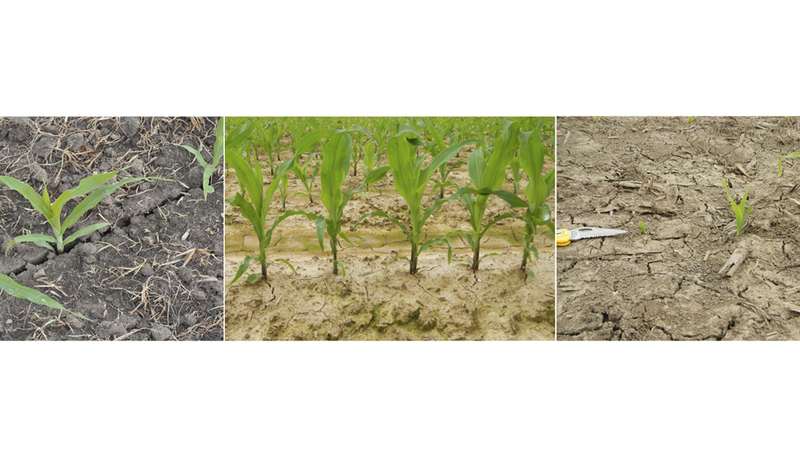 Variability in fields exist, from soil type to drainage to moisture, and plant variability exists simply because some rows are near tires and some are not. When setting a downforce airbag or spring, how can a single setting for the field ever be correct? The reality is that it can't always be right, which means that whenever the setting is incorrect for that spot in the field, that seed's yield potential is lost due to too much or too little downforce. When there isn't enough weight to maintain depth, late emerged plants are the result and they can easily be seen. But what about when too much downforce is applied? 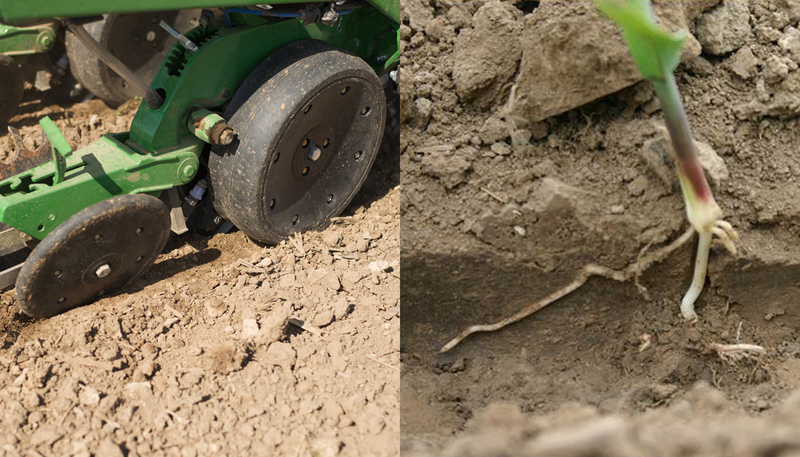 Compaction is created by the gauge wheels, leading to restricted root development and yield loss, but it is only seen by getting a spade in the ground and looking at roots. Fields could be full of yield loss that has never been seen. 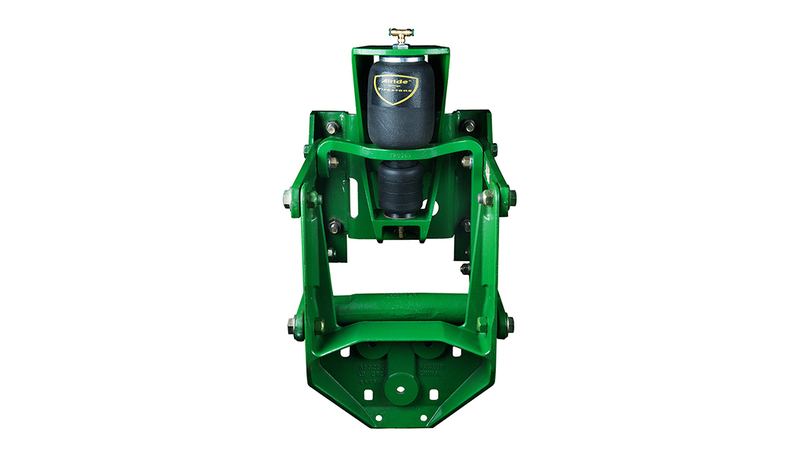 In order for every seed to be at the correct depth and also be placed in an environment free from compaction, the planter needs to measure the amount of weight on the gauge wheels of the planter, and carry that weight consistently. If there is weight on the gauge wheels, then seeds are at depth. If there is not excessive weight on the gauge wheels, then compaction is not occurring. This is more than a one time setting because of the changes in the field, in the planter, and in the environment in general. 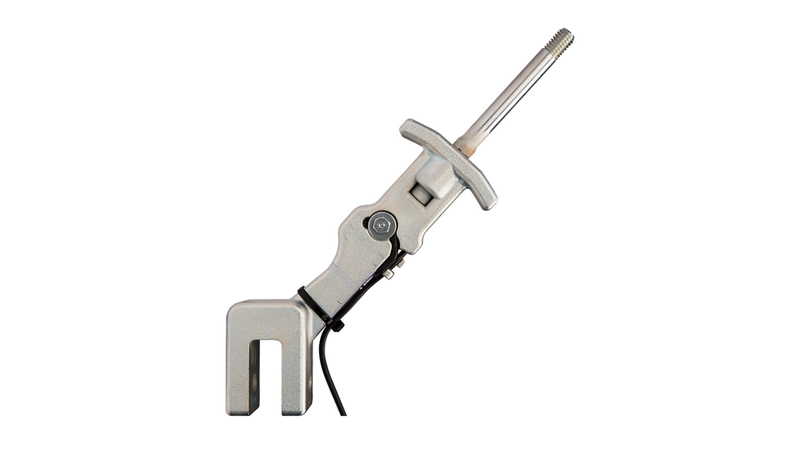 The gauge wheel weight must be continuously measured and made right. DeltaForce replaces the springs or airbags on your current planter with hydraulic cylinders and load cells that measure how much weight is being carried on the row unit gauge wheels and keep it consistent. 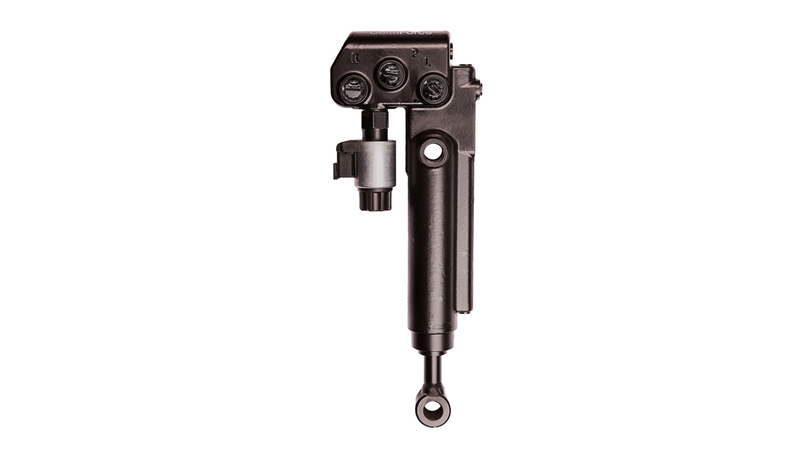 The operator sets a weight that should be carried on the gauge wheels, and DeltaForce does the rest, maintaining the same weight on the gauge wheels of every row, even across the variation of a field or from equipment. With DeltaForce, the hidden yield loss from compaction is eliminated, and each row is planting at the depth that was set. Great roots, great emergence, great yields. If one row of your planter is in a wheel track from the tractor or from the combine last fall and needs more downforce in order to maintain depth, the cylinder on that row applies more force. If at the same time, another row is in very mellow ground and the weight of the row unit is all that is needed, the cylinder on that row applies no force. And if a third row on the planter is carrying too much gauge wheel weight in mellow ground because the weight of the cast iron row unit is more than enough, the cylinder on that row will lighten that row unit, so that it is not creating compaction. Every second, these reactions are happening multiple times, making sure that every seed on every row is at the depth that has been chosen, and in an environment to thrive. 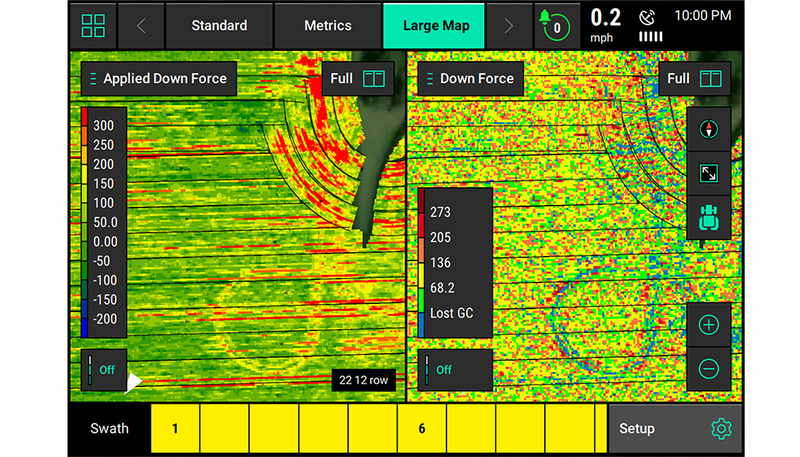 Stop being blindsided by compaction and get the control that only DeltaForce provides.